In July 2015, 4000TPD granite production line successfully installed in Mongolia. 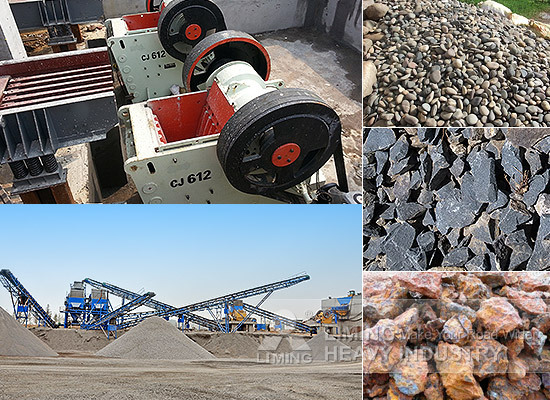 The production line consists of GZD1300*4900 Vibrating Feeder, HJ Series High Efficiency Jaw Crusher, HPT Series High-Efficiency Hydraulic Cone Crusher and YKN3072 Vibrating Screen. It is used in highway construction. This project mainly used crushed granite as paving stone and building stone. The simple jaw crusher can not meet the material requirements of advanced highway. The engineers of Liming Heavy Industry visited the construction site and developed a professional configuration according to customer's actual situation. Two-stage crusher not only meet the production requirements, but also satisfied the requirements of the feed level and greatly saved the investment cost and production cost. If you have more problem about granite crushing equipment, please contact with us.